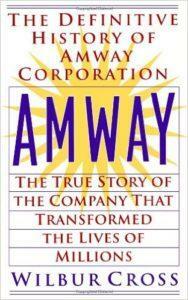 Today, I’m going to talk about the Amway 9 CORE steps. These are basically the “steps to success” in Amway, as taught by many successful Amway reps. I spent a couple of years in Amway. I enjoyed the experience, achieved moderate success, and learned a lot. These were the same steps I was taught to follow. One of the first lessons my upline Platinum taught me was the Amway 9 CORE Steps. The steps were typed up in a little booklet (like a pocket calendar) that I was given when I first joined the business. In the paragraphs below, I will elaborate more on each step and share my own insights on it. If there is one thing I am eternally grateful for from my Amway experience, it’s that it got me reading books on a daily basis. For some 16-years now, I have devoured self-help, business and network marketing books and it has had a tremendous impact on my life. I love books. Reading books is one of the fastest ways to learn a new skill. You can read an auto-biography and study a successful person’s life in just 8-10 hours. What took them a lifetime to learn, you can learn in just a few hours. How awesome is that? Reading “good” books has changed me as a person. It has helped me grow and develop my potential. I know it will have the same impact on you if you make the decision to do it. As an Amway rep, I was told to read for at least 30 minutes per day. They even had a suggested reading list. During my time in Amway, we were encouraged to listen to at least one tape a day. These tapes were Amway training and motivational tapes. 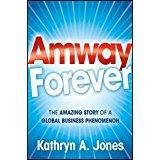 In most cases, the tapes were successful Emerald and Diamond level Amway distributors giving motivational talks. I loved listening to the tapes. I learned a lot of new skills from doing it, and it kept me inspired. After leaving Amway, I still continued to listen to tapes, just not Amway tapes. I recommend you listen to a tape a day from successful trainers such as Zig Ziglar, Brian Tracy, and Tom Hopkins. Study subjects such as marketing, sales, lead generation, success thinking and entrepreneurship. Turn off your car stereo and turn on automobile university. If you listened to one tape a day for a year about one specific topic, you could become an expert on that topic. The Amway functions were VERY, VERY fun and powerful. There is nothing like walking into an arena or auditorium with 10,000 to 20,000 people who are excited about life! These events were electrifying. We were encouraged to attend local, regional, and the big quarterly events. Since leaving Amway, I still attend events. I try to go to a few conferences each year to meet new people and learn new skills. Events are very powerful in network marketing. It gives people social proof and creates camaraderie. Network marketing is an event-driven business. We were taught to show 10 presentations per month OR sponsor 2 serious business builders per month, whichever happened first. At the end of the day, your network marketing business won’t grow much if you aren’t constantly exposing it to new people. Knowing what I know now, 10 presentations a month isn’t enough, in my opinion. With the invention of webinars and videos, I believe you should show MINIMUM 50 to 100 presentations per month, since you don’t need to meet face to face with people to do a presentation. Just food for thought. You also need to know that this business is a numbers game initially. You have to expose the products and business to A LOT of people to find your serious business partners. Simply put, talk to thousands to recruit hundreds to find 3-6 serious people. Be your own best customer. What a concept. If you own any type of business you should be your own best customer. You need to use your products so you can develop your own product story and build up your conviction and belief in the products. You don’t want to be a product expert, but you do need to have a basic understanding about what the products can and can’t do. You should also be very passionate about your company’s product line. It makes a huge difference. If you don’t love your company’s products, you are probably working with the wrong company! Although there isn’t a huge emphasis on retailing in network marketing, it is a critical component of the business. As I see it, everyone should have 2-10 RETAIL customers. This gives you immediate retail profits. Also, it’s hard to teach your team members how to get customers if you don’t know how to get customers yourself. On a side note, MLM is not about one person retailing a lot. It’s about building a network and having every distributor acquire and maintain 2-10 retail customers. That really is the key to success: a lot of people each doing a little bit. Before you can become a teacher and leader, you must be the student first. You start out as the apprentice. Then you master your skills and become a teacher. Ultimately, your job is to teach people, to teach people, to teach people. That is what successful MLM leaders are really good at. This is a teaching and coaching business, not a business of recruiting and selling. Also, humble yourself and follow someone successful. Follow their lead. Don’t act like a know it all or try to reinvent the wheel. It’s much easier and smarter to learn from someone else’s mistakes than try to figure everything out on your own. Keep an open mind and be a sponge. Do what you say and say what you do. In today’s society, that’s pretty rare. Be a person of integrity and if you say you are going to do something, do it! Be reliable to your team and upline. Find an accountability partner, if possible, and check in with them daily. During my time in Amway we were taught to get ALL of our advice from our upline and to avoid cross-line communication at all times. This advice does have some merits, considering your upline has a financial stake in helping you become successful in the business, whereas cross-line reps have no stake in helping you succeed. That being said, I think we can all learn from each other. I realize your upline mentor has a vested interest in your success, but I just don’t believe it’s smart to follow anyone blindly. By all means, seek their counsel and input, but still trust your instincts and get your guidance from different sources. Just make sure the person you get advice from is SUCCESSFUL in their own right. There you have it folks. These are the Amway 9 CORE Steps. I hope you found the information helpful and can learn something from it. What are your thoughts? What has been your experience following these Amway 9 CORE Steps? Leave a comment below to share your thoughts.